During testing it is important to get as much useful information about bugs as possible in order to be able to reproduce and fix them. When posting bugs in this forum, please use the following template. Steps to Reproduce: List the steps as clearly as possible in a numbered list format. Actual Result: The room exists, but the floors and walls are not present. System: The system specs for the computer the program was running on when the bug occurred. Thanks for the bug report. Can you upload the map so I can debug it? Attaching it and posting here in the forums is fine. Sorry, I was unaware of how to attach the file on here so I created a DropBox Link for it if thats ok.
That's fine. Thanks for posting the map. Hello Aku, I took a look at your map and I see where the problem is. In the currently released build, the lighting only works for dungeons up to 50x50 in size - this is why you are getting black areas. However dungeons up to 200x200 will be supported in the next build, so you dungeon will work correctly at that point. In your opinion, how big do the maps you generate get? 200x200 seems quite large to me - basically over 16' x 16' if you use a 1 inch scale and print it and 14,000 x 14,000 pixels if saved out as an image at 70 pixels per unit (the scale used by Roll20) - but I am curious to get other opinions. yeah, I think I am the only person I know that likes to make dungeons as big as I do. The one I sent over is going to be about 90x150. 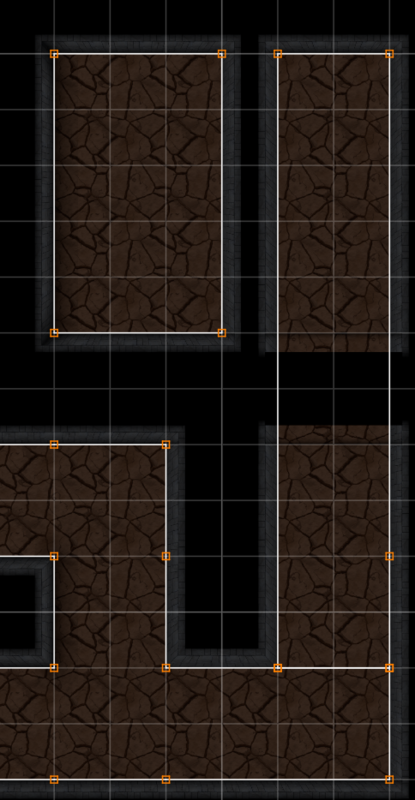 I enjoy players getting lost in Dungeons and tying in multiple rooms in a large dungeon for a puzzle. I also make the maps a bit larger than needed because I like to hide clues to puzzles in the actual map as opposed to demanding perception checks in case they fail. Thankfully I just use this for Roll20 and don't print them out. Also, I will be using the dark spots to my advantage and work around them, but thank you for the notice!